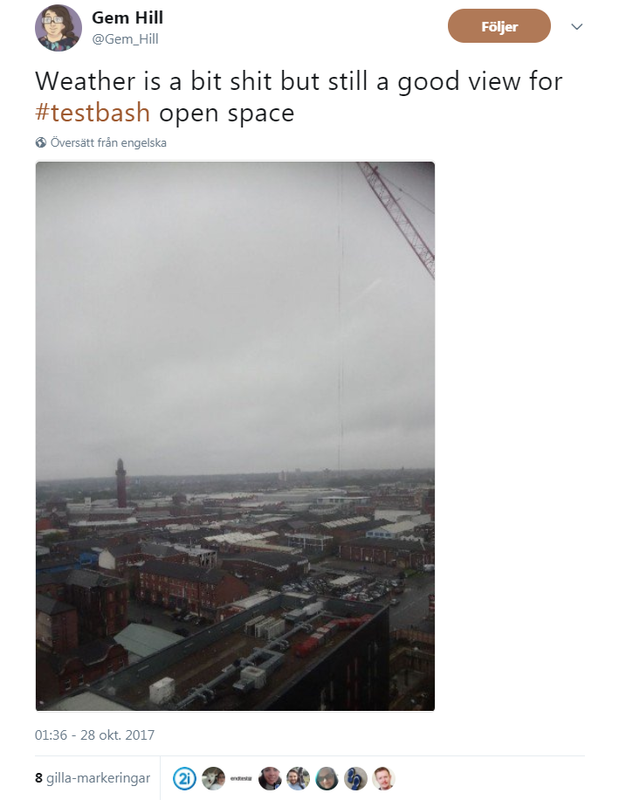 At the end of October 2017, I attended my very first TestBash event in Manchester. 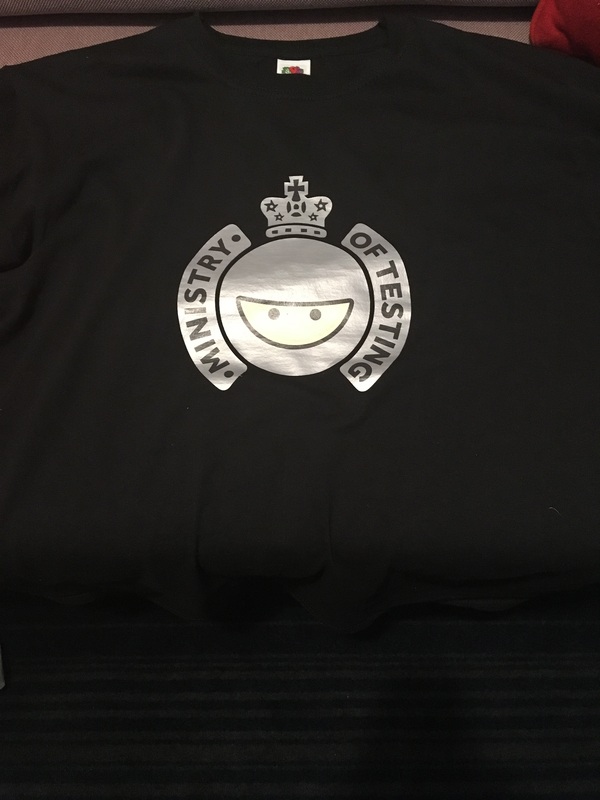 Since quite some time I’ve been thrilled by the impressive work by Rosie Sherry, Richard Bradshaw and the rest of the crew at Ministry of Testing and their contribution to the testing community. Therefore, I was very honoured to be invited to Manchester as a speaker. I was both excited and a bit nervous going there, I must admit. Nervous because I figured there were only a few people there that I had met before in person. Richard Bradshaw I’ve met at Agile Testing Days a couple of times and a few others I had met maybe once or twice, like Anne-Marie Charret, Patrick Prill and Dan Billing. Also, I attended Michael Bolton‘s RST course back in 2008 (time flies…) and also met him at a couple of conferences some years ago. Being a bit shy and feeling awkward about approaching strangers, it’s probably natural to be a little nervous. But mostly I was excited. 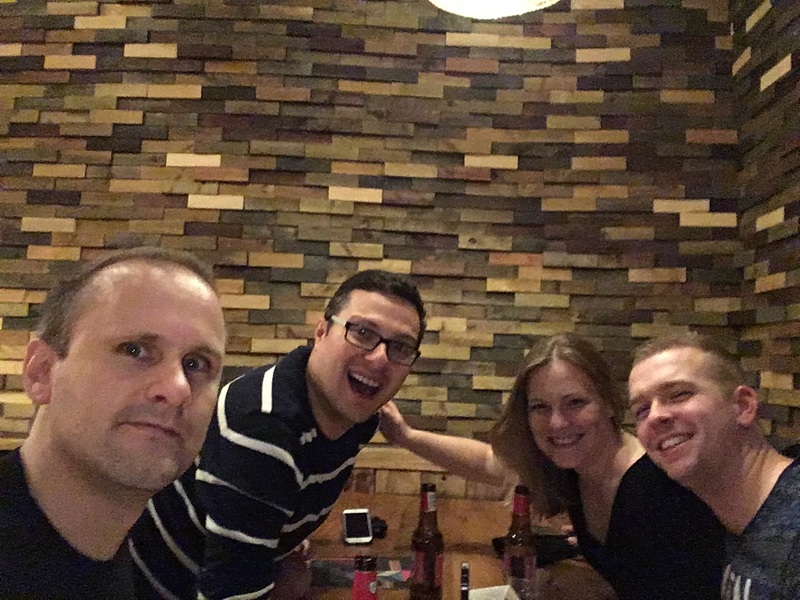 I landed in Manchester on Wednesday night, went down for a short visit to the Craftbrew pub, was greeted by Richard and met a few other people before heading for bed to get some much needed sleep knowing there were three intense days ahead. Thursday was workshop day where I had signed up for two half-day workshops that I was really looking forward to. In the morning, I attended “Web Application Security – A Hands on Testing Challenge” with Dan Billing. Despite being a tester for almost two decades, I still consider myself a newbie to Security Testing. 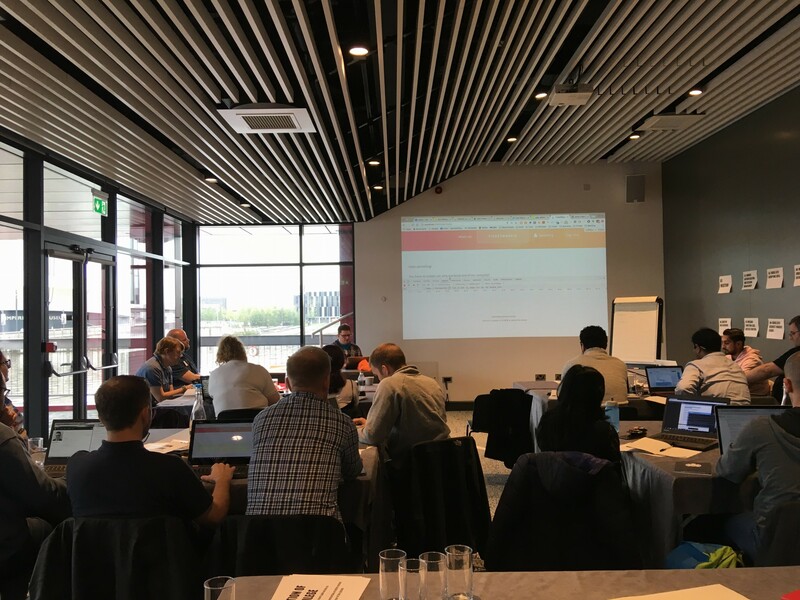 The workshop was really interesting and I learned a lot from it, and as the title said, it was very hands on, guided by Dan who also shared many good insights from the world of web security. All in all, I had a great time and learned a lot. Already by lunch, after having met some great people, most of my nervousness was gone. Among these were the Super Testing Bros – Daniel Barrow and James Espie from New Zealand – whose podcast I was a guest at earlier this year (my first podcast experience!). Really great to meet them in person and to hang out with them during the week. The same can be said about meeting the other guest on that podcast episode, Gem Hill, who was making her conference speaking debut at TestBash in her home town. More on that later. 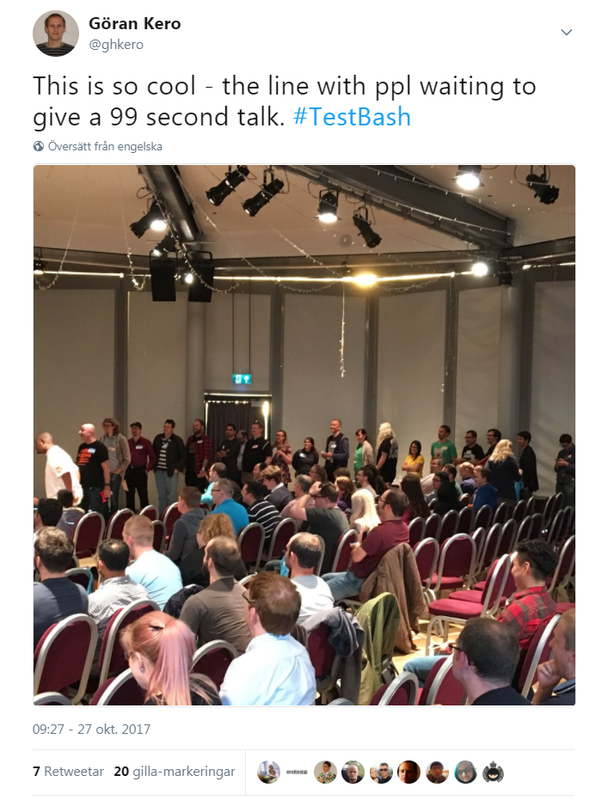 Anyway, I was amazed how the TestBash atmosphere was truly welcoming and including, in a way that I’ve only experienced at one conference before, Agile Testing Days. After lunch, the next workshop was on “Building the Roadmap to Your Testing Future” with Marianne Duijst and Rick Tracy. This workshop I must say is one of the best I’ve ever attended. The setup was much more personal than I had expected. We ended up sharing with each other what drives us, what grounds us, what’s holding us back and what our goals are by telling stories and building connections with other participants and creating our own testing future roadmaps, all brilliantly facilitated by Marianne and Rick. Interestingly, this was also the very first time I met Marianne. Now when I write this, a month later, it feels like we’ve been friends for a much longer time. 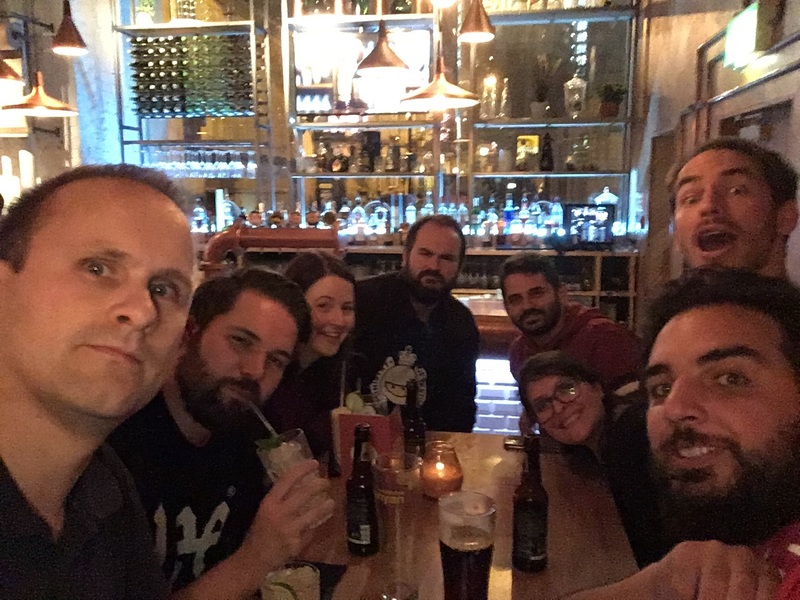 Thursday night we spent at the Craftbrew pub, where I got to meet a lot more great people, having an amazing time. I was so happy (but also slightly red-faced, shy as I can be) by the loud welcome from Leigh Rathbone, who was the announcer on the conference day. Wow, that guy has some energy and he is indeed willing to share it. Being around Leigh gets you energized and happy, that’s just how it works. Friday was conference day. And as Testbash is a one-track conference, that meant 240 people in the crowd for all talks. The memory of my own talk is very dim, what I know is that I was high on emotions afterwards and very happy to have given it. 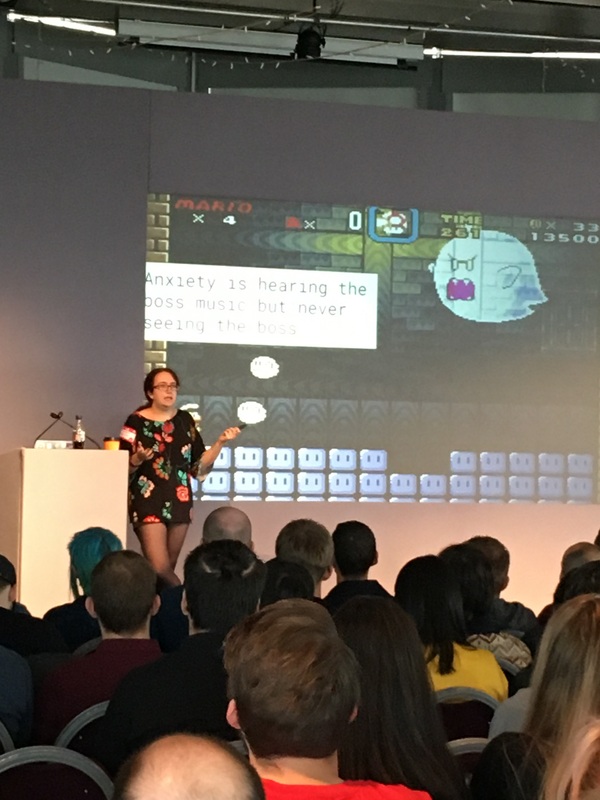 The other talks were great with no exceptions, and my favourites among them were Gem Hill‘s “Anxiety under test” and Claire Reckless‘ “The Fraud Squad – Learning to manage Impostor Syndrome as a tester”, both very strong, honest, personal and insightful. Both Claire and Gem were making their conference-speaking debut. From listening to them, I wouldn’t believe that if I didn’t know. 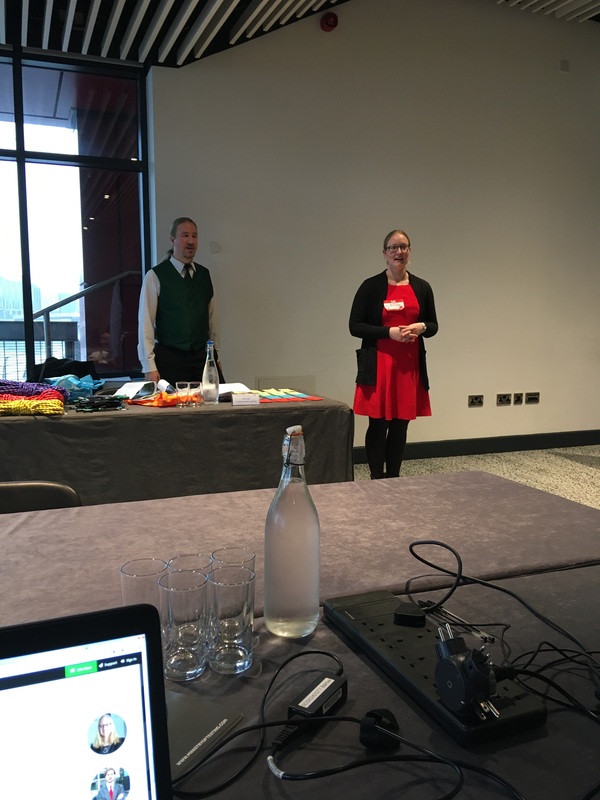 My other favourites were Vera Gehlen-Baum‘s “Turning Good Testers Into Great Ones” about metacognition, using a great super hero metaphor, and Martin Hynie’s “The Lost Art of the Journeyman” where he shared lots of insights from his long career. And Michael Bolton‘s rap at the end of his talk is unforgettable. What really made the conference day even better was two additional things. Leigh Rathbone as the announcer, he pumped up the energy of both the speakers and the crowd between the talks, and also the 99 second talks at the end of the day that perfectly rounded up the day. It was so great to see the line of people waiting to give their talks, and wow, did they deliver! What I also am very happy with from Friday is that I finally got into my possession a Testsphere deck, this amazing card game by Beren Van Daele. He is not only the creator of the game but also a really nice guy with lots of great ideas. Friday night was again about hanging out with the amazing people at the bar. Now I could also relax a lot more, since my talk was done and all the nervousness was gone. I had the pleasure of meeting Conny Armitage and also got my first glimpse of her drawing talent. 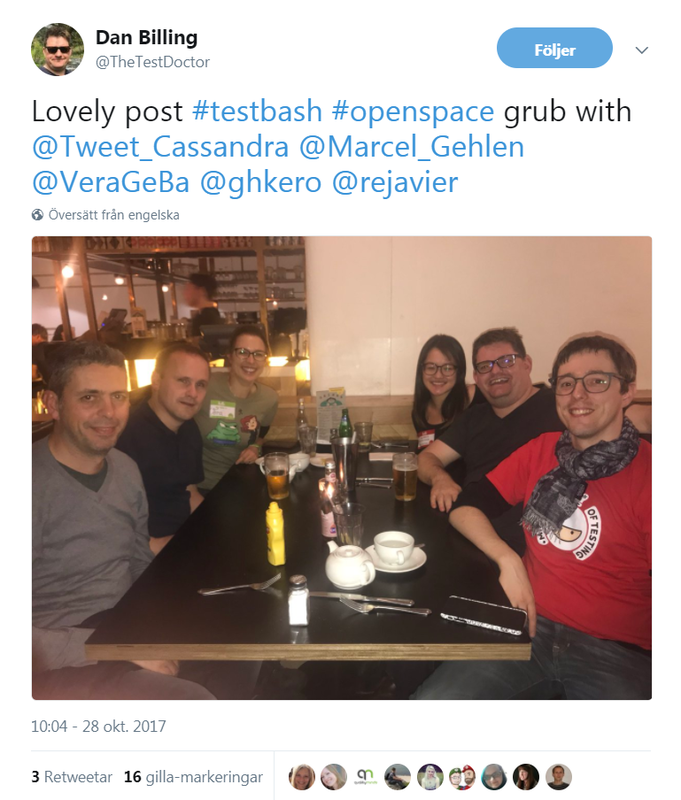 If you haven’t seen her work, just take a look at this amazing cartoon of her TestBash experience. All in all, when I walked back to the hotel on Friday night together with Geert van de Lisdonk, a really nice guy from Belgium (with whom I btw had many great conversations this week), I was feeling thankful for being allowed to be part of this community. Saturday was Open Space at the LateRooms.com office, from where we had this great view over Manchester. As usual at Open Space sessions, we started off proposing our topics and then sorted them into different locations and time slots. With all the interesting topics and passionate people gathered, it was really difficult to pick what sessions to attend. I ended up having a great time with lots of learning, helped by the safe environment where we could have open and honest discussions about things we really care about. The day went by quickly and after that, those of us who were still around went downtown for dinner and post-conference hangout. Again, such great conversations with truly amazing people, among these Antonella Scaravilli, Tomislav Delalic, Sarah Deery, Marcel Gehlen, Vera Gehlen-Baum, Cassandra Leung, Martin Hynie, Patrick Prill and Dan Billing. Also I want to send a huge thank you to Vera Gehlen-Baum for the invaluable feedback she provided on my talk, which helped me improve it a lot before giving it again at Agile Testing Days a couple of weeks later (which I will write more about in an upcoming post). Among the things I learned from her that I could use to improve my talk was to create a better narrative, make it more personal, connect the theory to more practical examples, anchor the different parts while connecting them and narrow the scope by cutting out a few pieces, which also made it less rushed at the end. I will be forever thankful for this, Vera! 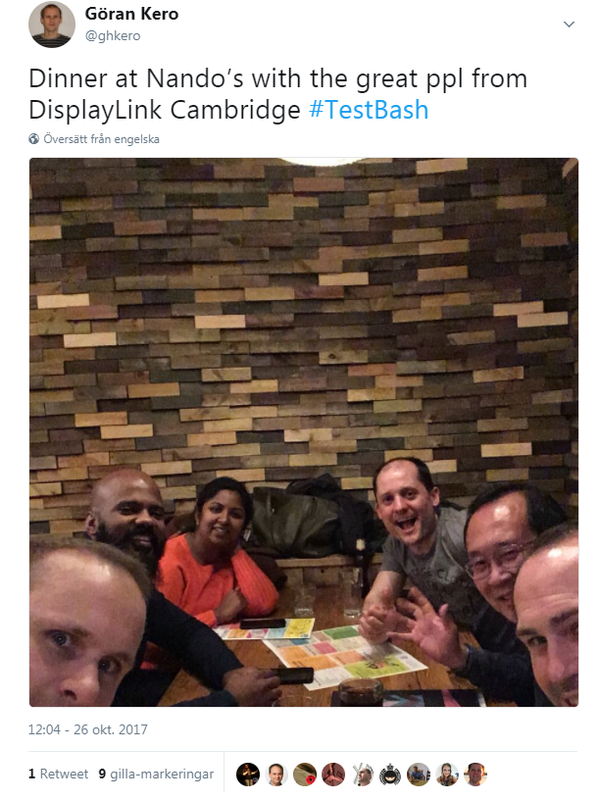 This was my first Testbash, but certainly not my last. I left Manchester with a great feeling, carrying my TestBash experience with me in my heart, wearing this super cool T-shirt. Thank you Richard Bradshaw & Ministry of Testing for having me. This is my first blogpost ever about anything related to software. 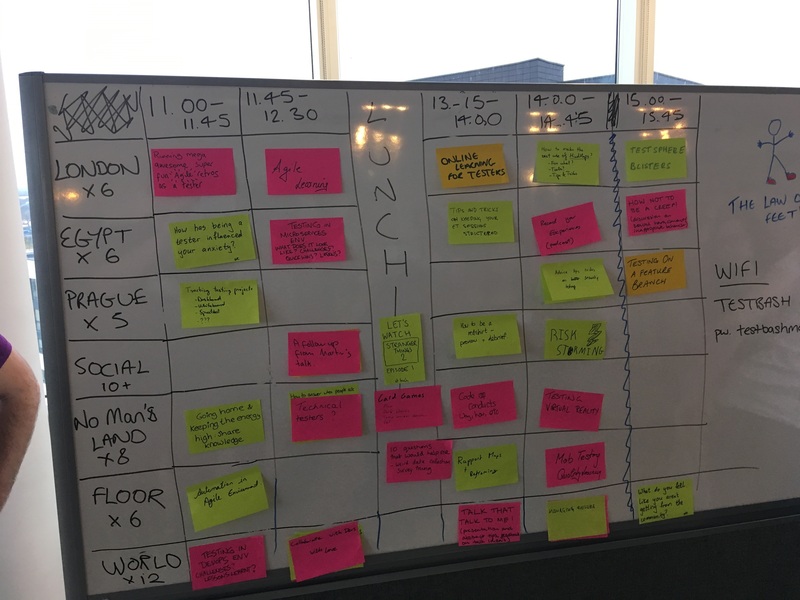 I got this crazy idea to start a blog at Agile Testing Days in Potsdam a week ago which makes it just natural that the first post will be about this event. I have no idea how long I will be inspired to blog so I don’t know if or when more posts will follow. 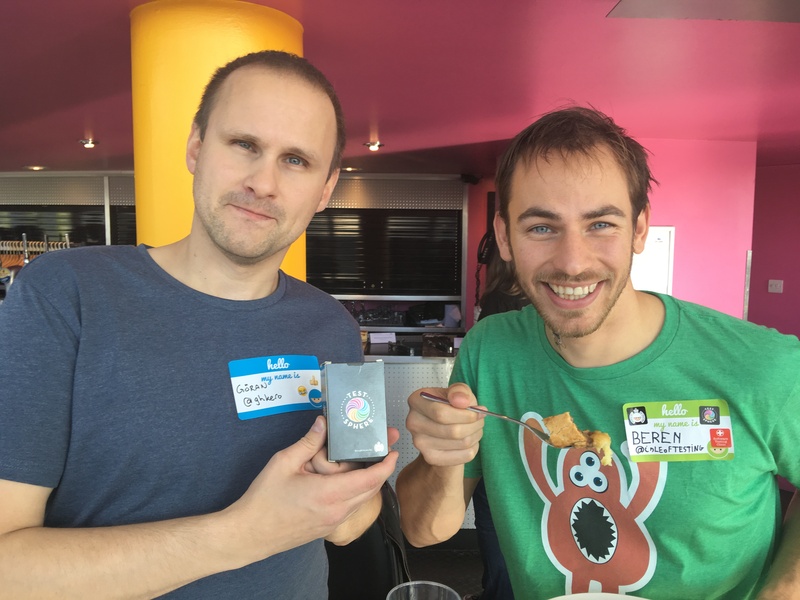 Well, let’s get to the point – Agile Testing Days 2015! I will divide my story into certain topics instead of going through it in chronologic order. It was the 7th edition of Agile Testing Days, and for me it was the third visit, the second as a speaker. Last year I had a consensus talk and this year it was the first time I was included in the main program. The location is lovely Potsdam, Germany, a 30-minute trip by train or car from Berlin. The conference is run over three days, Tuesday-Thursday, with one-day tutorials on Monday. To put it simple, this is just THE conference if you are into agile testing (or just agile or testing). And it’s also much more than a conference. The organizers, José, Madeleine and Uwe and the rest, create the perfect setting and the amazing people attending do the rest to create the including atmosphere that is so unique for ATD. Everybody is just so down to earth and willing to both learn and share, and the fact that most people stays at the conference hotel makes it very easy to meet new people. More on that later. Two persons who really should be mentioned too is Lisa Crispin and Janet Gregory (congratulations Janet to a well deserved MIATPP-award!) who have been part of this conference for most of the years. They help setting the frame and spirit for the conference at the start and wrap it up nicely in the end. They also run the very popular Lean Coffee sessions in the mornings. Even if they are icons in our community they express such a genuine and humble will to learn new things and are so generous with sharing their knowledge and insights, and by that they inspire us all to do the same. Be inspired by the great keynote-lineup. Catch up on Exploratory testing hoping to get new insights. Ever since I attended Michael Bolton’s RST-course in 2008 I have called myself an exploratory- and context-driven tester, and since then practiced it with great passion, read books and articles, watched presentations and done some coaching/mentoring as well. But I always do want to learn more about it. Attend interesting workshops. The last two years I didn’t attend any workshops, just listened to presentations, but this time there were so many workshops that looked interesting and some of them were even scheduled at the same time so I had to make some tough choices. Meet a lot of people to have good conversations with, both people I’ve met before and new acquaintances. Try hard to make my own talk the best I can, so that maybe at least someone could have some use from it, and for myself to learn. One of the main reasons I do speak at conferences is that I learn a lot every time. There are more keynotes at Agile Testing Days than most other conferences, 3 per day. This year it started off with a very unconventional but great keynote by Alex Schladebeck and Huib Schoots about parallells between music and testing. With passion and energy they soon had the whole audience singing along and blowing “kazoos” (some kind of plastic whistles). A great start to the conference indeed! As for most of the other keynotes there was some kind of common theme – how everybody can change the world with courage, passion and hard work and that change starts with you. Selena Delesie talked about leadership and how everyone can change their surroundings. She told her story in such a warm, humble and personal, even private, manner that is hard to resist, a real demonstration of the power of vulnerability! The same with Dr Sue Black – wow, what a story! I am a sucker for good storytelling and this was exactly that! Her topic “If I can do it, so can you” was fitting with the humble way she presented it, but hey Dr Black – You are one of a kind! South Africans Sam Laing and Karen Greaves talked about how testers need to grow and be more useful in an agile environment. That everybody can make an impact, and even start a movement! Mike Sutton painted a future where organizations are holacratic (flat and self-organizing) and asked us what we bring to the table to make this future happen, and he did it in his personal, very humourous, way. Olaf Lewitz had the closing keynote and told us to be the change we want, how courage and trust can accomplish great things, and about making choices wisely. Tom Roden and Ben Williams keynote was about how portfolio management from finances could be used in agile deliveries by making a testable chain of decisions. This is in fact an interesting but complicated topic which I think would be much more understandable in for example a workshop, at least for me it was a bit hard to take in and understand from a keynote. Bryan Beecham finally had a talk on human refactoring, interesting and well presented, but for me it didn’t contain any new insights, but then again I am a nerd when it comes to that topic. As mentioned I wanted to get new insights on Exploratory testing, so I picked three sessions on this topic that looked promising, and I wasn’t disappointed. Both Maaret Pyhäjärvi and Maaike Brinkhof gave talks of the kind that I like best, true experience reports with real-world stories but also with a higher level of insights to share, giving the audience specific tips that can be useful. Maaret showed how good principles, applied pragmatically on different contexts, helped her see clearly what she could influence in the different cases. I really agree on the importance of pragmatism, there are too many examples where people with great knowledge are too militant about their ideals. Maaike talked about how they got the entire team involved in exploratory testing and she shared some very important and insightful learnings as well, e. g. the importance of debriefing immediately and the risk of decrease in enthusiasm when things had been going for a while. Ilari Henrik Aegerter talked about the happy marriage between context-driven testing and agile which also was interesting but maybe didn’t give me that much new. As for the workshops, I had a really hard time choosing which ones to attend. On one day, I picked the Change dojo with the “Happy change agents” Fanny Pittack and Alex Schwartz, a really cool duo from Berlin that I met already last year. The change dojo was an interesting experience where we with simple experiments explored, among other things, how we react to change and the value of feedback and trust. It also showed how different people reacted differently to certain situations. The other workshop I attended was about the three amigos principle with Stephan Kämper and George Dinwiddie. I have been trying hard with BDD/Specification by example for many years while many of the participants were quite new to the concept, but that also made the discussions a bit more interesting and gave some new insights. One problem with a workshop like this is that it gets less effective with too many attendees. Now there were around 60 people (I guess an ideal number for this kind of workshop would have been around 20) which makes it a bit slower, but I understand it is hard to predict how many will show up. Great setup anyway by George and Stephan! Lean Coffee. The first two days I was just too late to sign up before the list was full (you sign up on a list the day before). And the third day I had my own talk a couple of hours later and felt I needed the time to make final preparations. Consensus and Lightning talks. The past two years I listened to a lot of the consensus talks (I was speaking there myself last year) and they were really good. And the Lightning talks were new on this year’s program, it’s always interesting to hear new voices from our great community, and from what I heard from the people attending them, they rocked big time! Great also that the “Speak easy”-program helped mentoring new speakers, they do a fantastic job making voices heard that otherwise would have been unheard. The Expo. The previous visits I did spend a lot of time in the breaks talking to the exhibitors, but this year it was just on a few occasions I stopped by there. Time were flying anyway with all good meetings with people. It was however great to meet the nice guys from QualityMinds in Gothenburg. The escape room – a newcomer this year. Never found time to do it, but I heard from others that it was a lot of fun. The anything build lab – I could spend hours there, but now it was just a few (ok, a little more than a few) short stops every now and then. And of course a bunch of other good talks and workshops that were run in parallel, but you can’t have it all, sadly. That’s it for now. In part 2 I will continue with activities outside the day program (like Agile Games night and other social activities which I think are what makes this the most awesome conference) and a little about my own talk.